Features a reliable suction mount that you can install in any place that you find more appropriate for it. Doesn't lose its adhesive properties even after washing with water. Isn't suitable for smartphones with flip-cases. This is a perfect car phone holder which can be attached to almost any flat surface in your car. 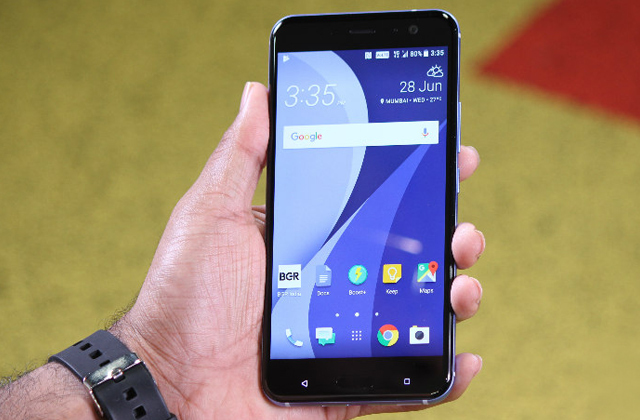 It is also adjustable, which means, you can move it forward for a better view of the phone's screen. This holder offers you flexibility as to the place where to mount it due to its compact dimensions. The backplate keeps the magnet and the plate tightly fixed, so you can be sure that your gadget won't fall down off the base. If used for a GPS device, the magnet may interfere with its performance, resulting in rare errors of the locations. The Bull's Eye Magnetic car mobile holder will become a good purchase for users who'd like to get reliable, and what's more important, an affordable mounting solution that doesn't have a lot of unneeded bells and whistles. The magnetic plate is attached to a smartphone using the branded 3M adhesive. It can be easily removed without any residues. You can attach the plate to and under the phone back cover. It can stagger or fall out on too bumpy roads. 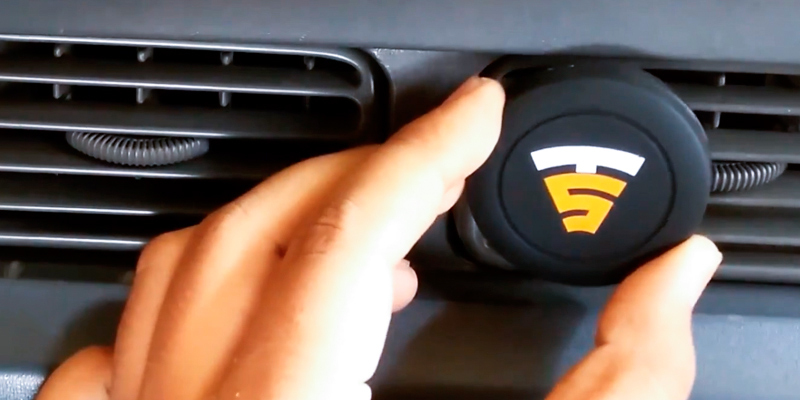 This miniature and easy-to-install magnetic car phone holder can be attached to a ventilation grille horizontally, vertically, or at any other angle. It is mounted with a clamp, leaves no traces, and is suitable for any air vents. This multipurpose holder can be used to secure your smartphone both in a car and on a desk. The telescopic arm and 360 ° rotation allow installing a cell phone in any position. Some users find it somewhat bulky. Thanks to the strong suction cup, this model is good for both smooth and textured surfaces and can be attached vertically and horizontally. 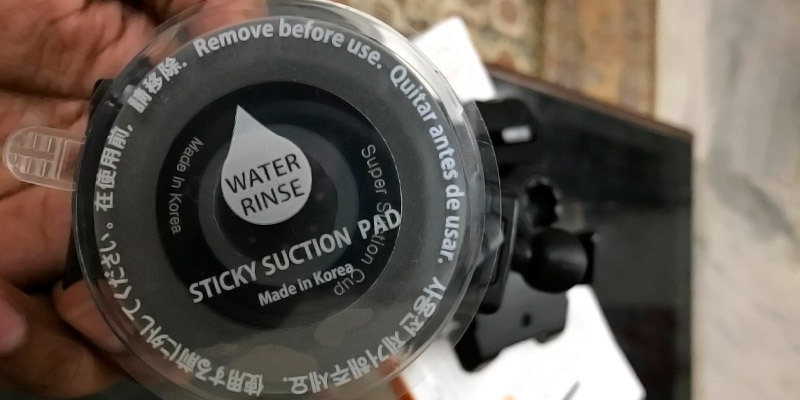 You can use the holder repeatedly - just wash and dry the adhesive pad. 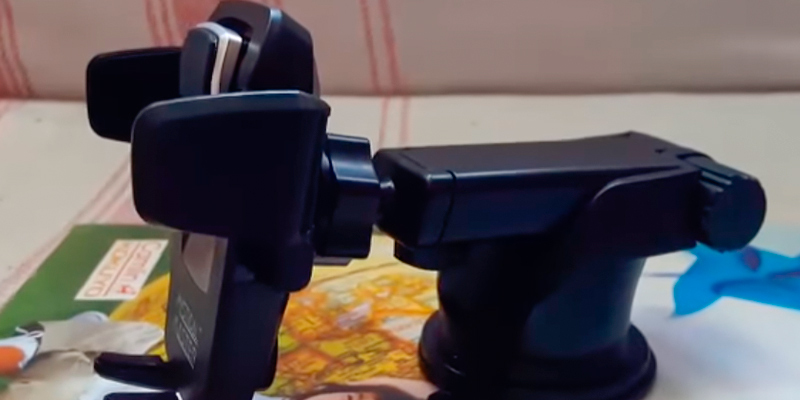 Owing to the clamp, the holder can be used not only for a smartphone but also for a camera and even as a stand for a glass. It is a simple yet usable appliance. You will need to get used to the clamp. You can attach this undemanding holder to any smooth surface in your car. 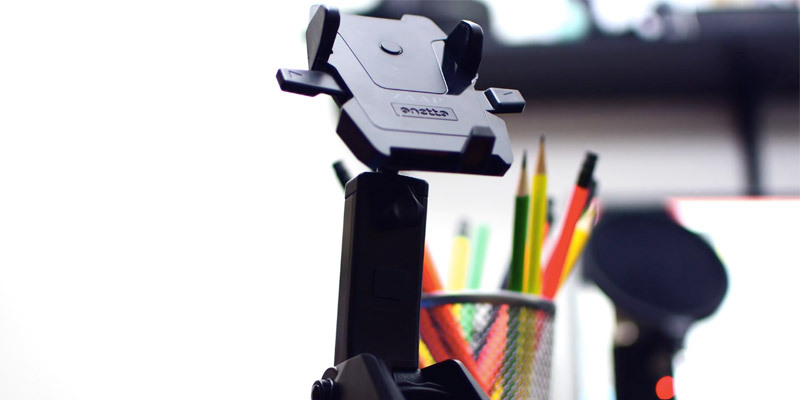 The clamp will reliably keep your gadget at a convenient angle for you. The ZAAP adjustable car phone holder stands out for its durable and reliable design. 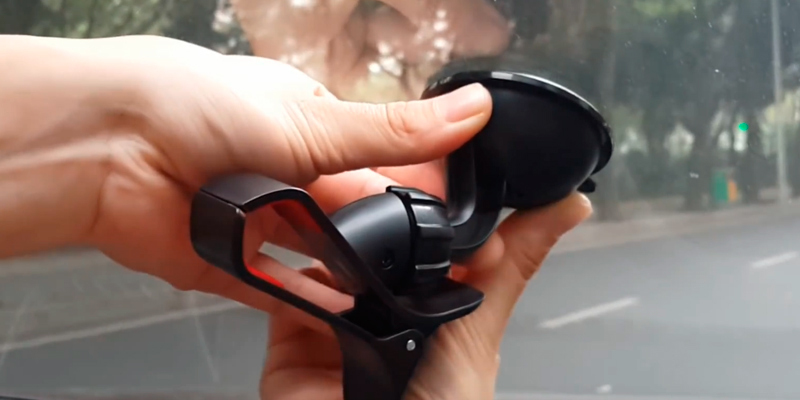 For starters, the suction cup here is capable of sticking perfectly to just about any surface texture and can hold up to 7 kilograms of weight, meaning that even a truly bumpy road is no threat to your phone. On top of it, its stickiness isn't going to degrade even if you wash it. After you let it dry out, the suction cup will stick reliably to the dashboard time and time again. 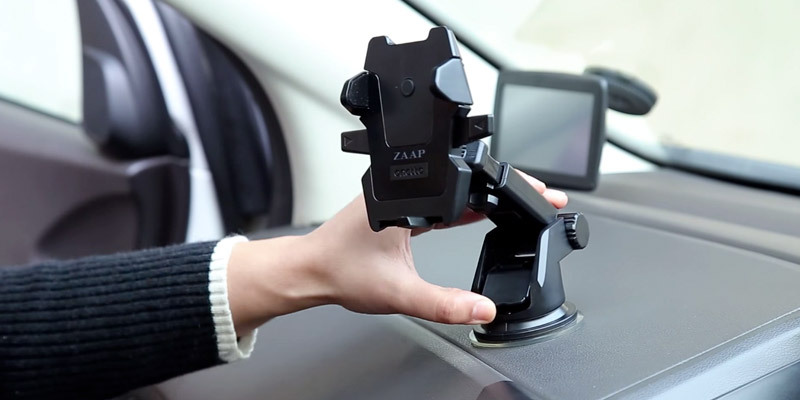 With regards to the mounting, the ZAAP holder offers one-touch attachment without any additional wires, cables, and things that may complicate installation by obscuring the ports and air vents of your vehicle. The holder is well suitable for mobile devices 2.3 inches to 3.2 inches wide, which is the standard for most gadgets, including the iPhone. 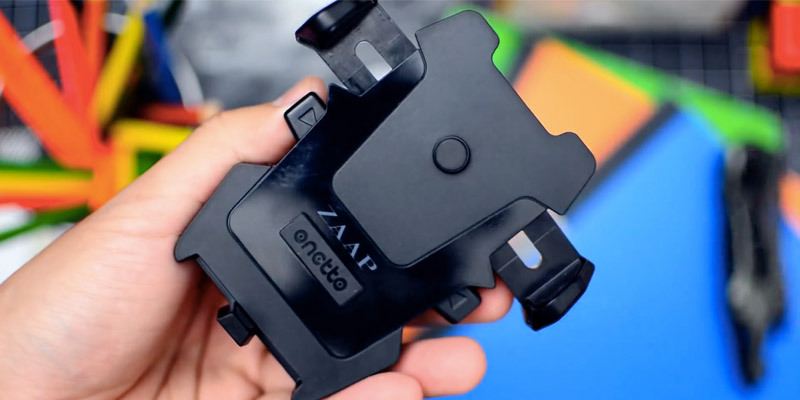 This holder by ZAAP can be mounted neatly on the dashboard of your car. Also, it is strong enough to hold pretty big weights. The arm of the holder can be extended 2 inches for the driver's optimal view of the screen. The original two-stage lever was specially designed for different surfaces where the first one is used for flat surfaces such as a windshield or front dash panel, and the second one is suitable for textured surfaces like a dashboard, for example. 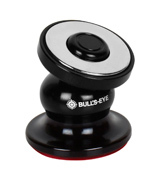 Few holders are so tiny as the Bull's Eye Magnetic Car Mobile Holder is. At the size of 25 x 25 x 21mm only, it can be attached to just any place where the other holder wouldn't fit. Wherever you feel it is more comfortable, place it there and keep the screen of your smartphone in your view. 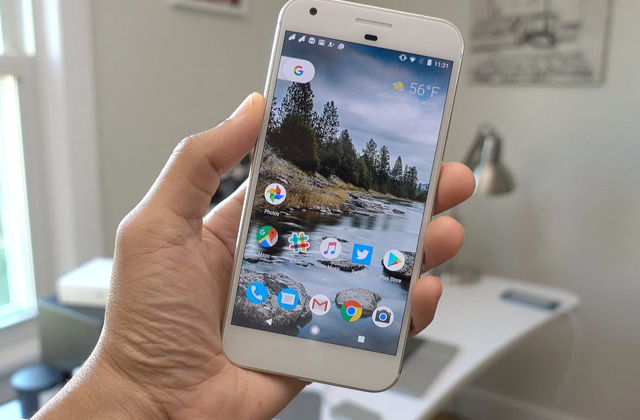 The tradeoff coming as a result of such a small size is that the holder isn't fit for large gadgets, which means, you can use it only for standard-sized phones. Yet, the Bull's Eye Magnetic Car Mobile Holder will support your phone pretty well due to a powerful magnet and a special attachment included in a set. Like most magnetic holders for mobiles, this one features a high-quality and solid build which contributes to its durable design and reliability. 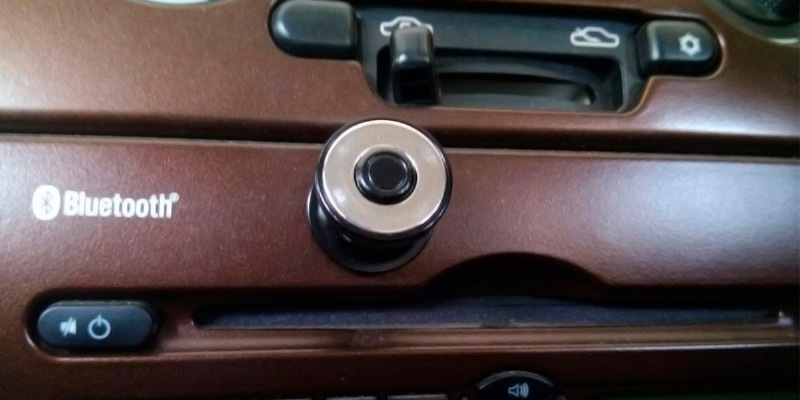 Besides standard places where most car phone holders go, this one can also be mounted on a dash panel of your car, around your CD player, and even in the air vent. The ball inside the holder is used not only to add to the durability of the construction but also to make it possible to change its position round 360 degrees through 25°. The car phone holder comes with two special metal mounting round plates designed for attaching to mobile devices or their covers. 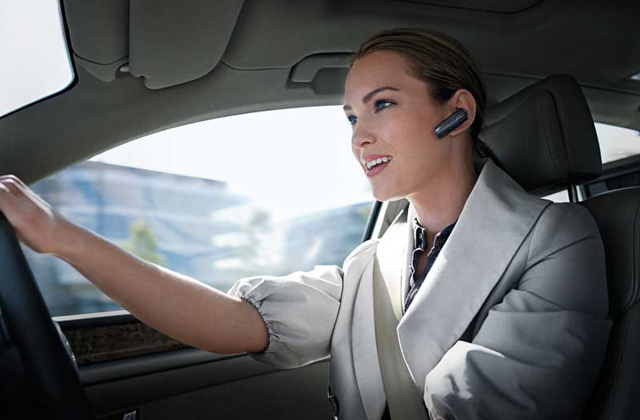 The Tech Sense Lab offers a car phone holder with a revolutionary magnetic mounting system for maximum comfort. 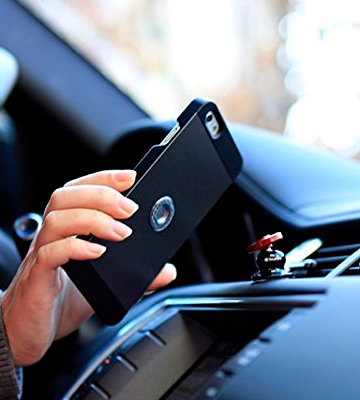 This versatile Magback Airvent Magnetic Mount car phone holder is compact, convenient, and easy to use. 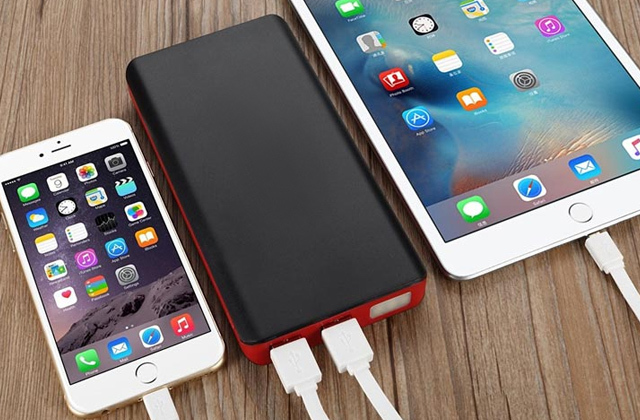 It is suitable for phones, smartphones, Android, Apple, Blackberry, and Microsoft devices. Besides, this mobile phone holder for car is compatible with literally any vehicle, regardless whether it is old or new. Owing to the mounting system using magnets and a metal plate, you will be able to attach the holder both to the new circular air vents and to the old grill style air vents with no efforts. Its design allows you to rotate the attached device 360 ° around and fix it on the holder at any angle. Thus, you will be able to rotate your phone as you need. This solution is really beneficial if you often use a GPS navigator or have a lot of calls while driving. This model is made of a special rubberized material, so scratches are not dangerous for it. The holder looks quite reliable and durable. Talking about advantages of this magnetic car phone holder, probably one of the biggest of them is its universal and ultra-compact size. 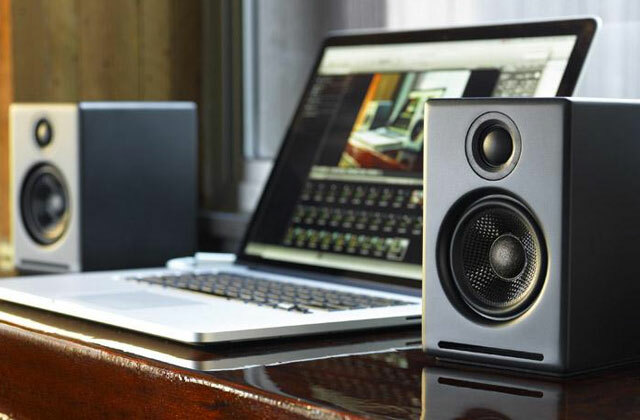 The Tech Sense Lab magnetic holder is rather small and consequently does not take up too much space. At the same time, it is able to hold your phone with no problems. 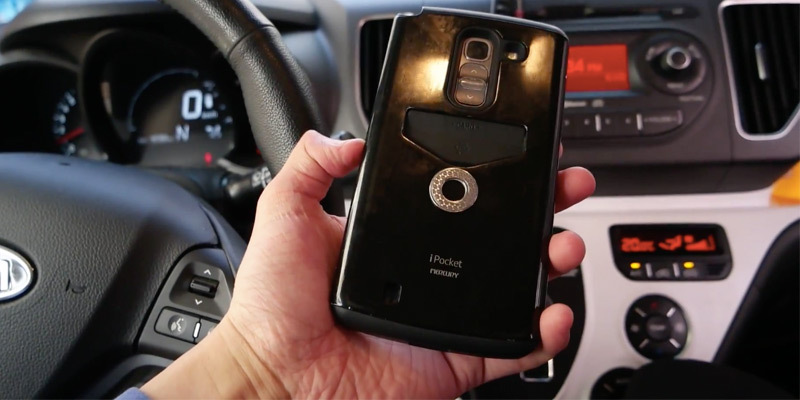 The phone is securely attached to the magnet and you do not have to worry that it will fall down or "jump" on your dashboard. This magnetic holder for a mobile phone can be good not only in the car: you can use it in your kitchen, office, workshop, and even on your backyard patio. 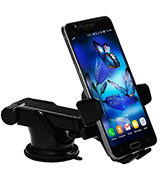 This mobile phone holder for car will fix and hold your mobile as reliable as possible. With this accessory, your hands will always be free, you won't have to look for a phone that sometimes magically disappears, and your attention will not be dissipated to calls. It will provide convenience and, most importantly, safety. 1. The holder is multifunctional and compatible with all cell phones and other digital devices. 2. 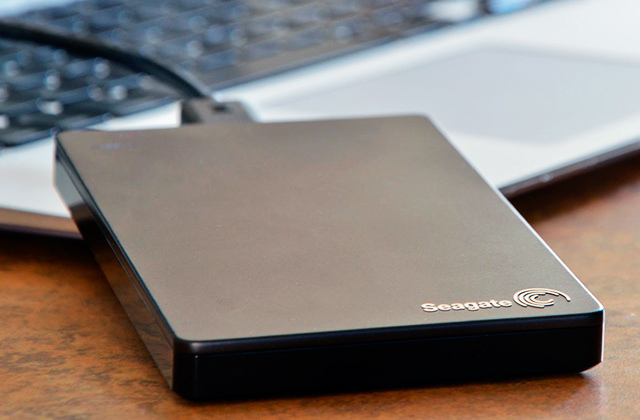 It is compact, reliable, and very simple to use. This model is much smaller than old holders on suckers and much better to operate. 3. Attaching the phone is as easy as a pie and can be done with one hand. 4. It can be used both vertically and horizontally. 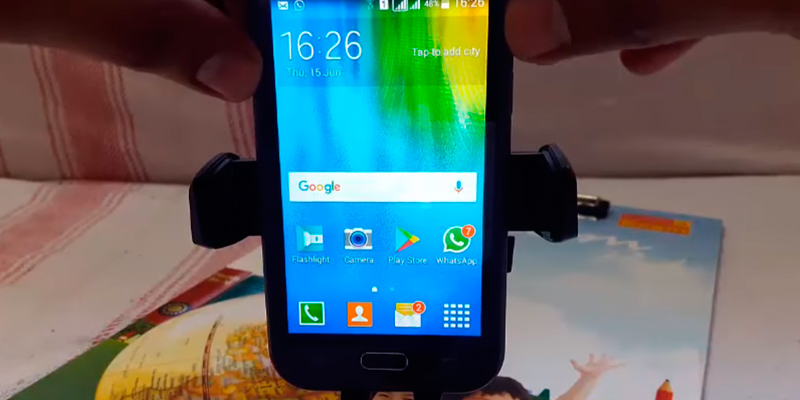 The phone can be rotated at 360 degrees, so you can choose any position for your smartphone. 5. The holder does not clutter up your dashboard and does not interfere with the view which is essential in terms of safety. 6. The design ensures a few potential places for mounting: you can attach it to the left of the steering wheel or to the right, or wherever you find a place, actually. This comparatively new on the market magnetic car phone holder will definitely become you perfect assistant on the road. Perhaps you are curious if the holder magnet affects the operation of the attached device. These magnets are rather strong but they are not able to cause any harm to your phone or tablet. 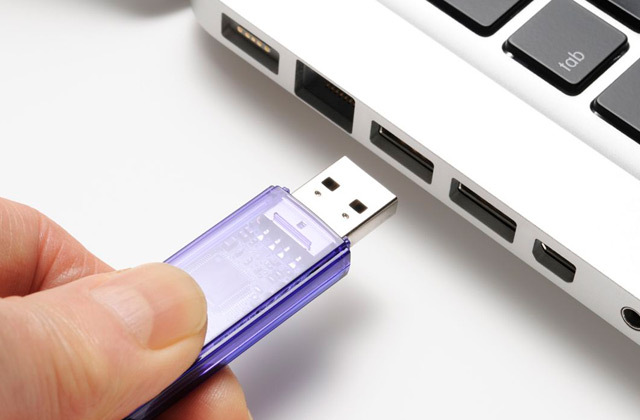 Nevertheless, locating the holder near the magnetically sensitive objects, such as bank cards, cardio stimulators, and hard disks (HDD) is not advisable since the magnets still can make these devices inoperative and damage them. 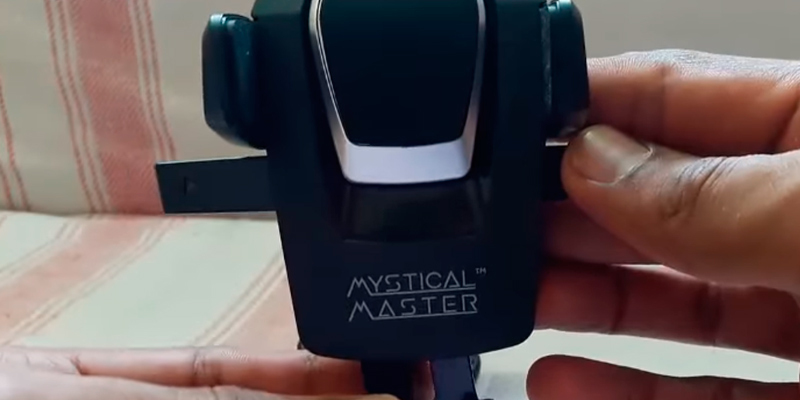 The Mystical Master company offers a solution for drivers to use various gadgets on the go. 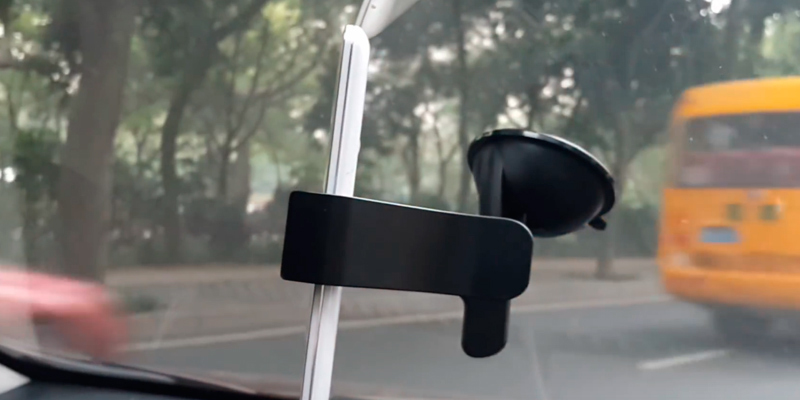 With its specially developed system, this mobile holder for car dashboard will make your travelling much more enjoyable. 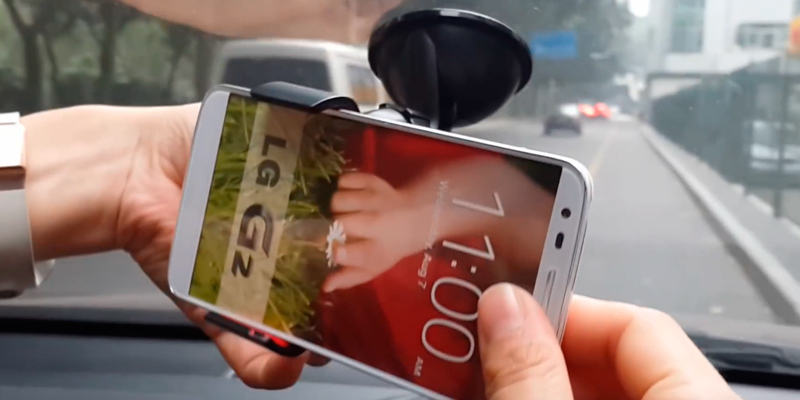 This new and high-quality car holder for a phone, smartphone, and tablet will facilitate communication and allow you to drive and monitor your incoming calls. This holder is good for various devices with the width of up to 9 cm, which significantly contributes to its usability. And its convenient fixing system will not let your device fall out. This holder comes equipped with a special super sticky gel pad which ensures secure attaching to most surfaces. 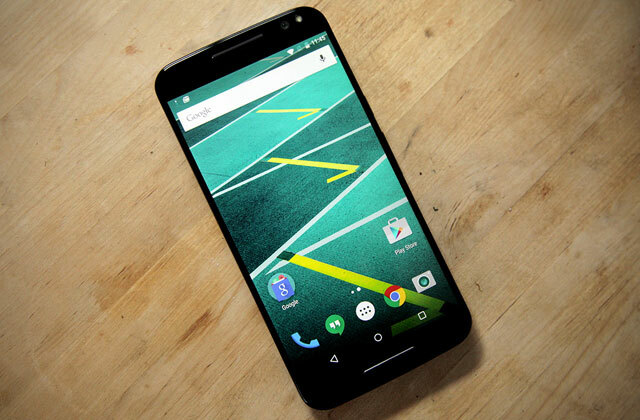 It works pretty well both on smooth surfaces and on textured and curved ones. With that, it is easily removable and restores to its original condition after rinsing with water and air drying, so you can use it multiple times. Being fitted with a silicone padded phone holding part, this product will prevent your valuable gadget from scratches and shocks. Reliable quality and great functionality will provide an amplitude of 360 degrees for the device rotation. Use it at any time, take off, or leave it fixed. If you are sick and tired of putting your tablet-navigator on a dashboard and constantly correcting its position, then this holder is just what you are looking for. Purchasing such an accessory is an ideal solution for drivers who highly appreciate comfort and convenience. After all, probably every smartphone owner understands how helpful and useful such an accessory is. The Mystical Master One Touch Car Mobile Holder is popular owing to its functionality, convenience in use, and stylish modern design. This model offers adaptive angle adjustment for the perfect view. The design is easy to use. It is easy to carry and install/reinstall (the removable mount enables you to move the holder to another location or to another vehicle). The material is durable and firm. Large and powerful vacuum suction cup. Rotate 360 degrees in any direction. Quick release for easy device removal. 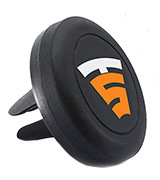 The design of the holder allows you to securely fix the device without any detriment to functionality. 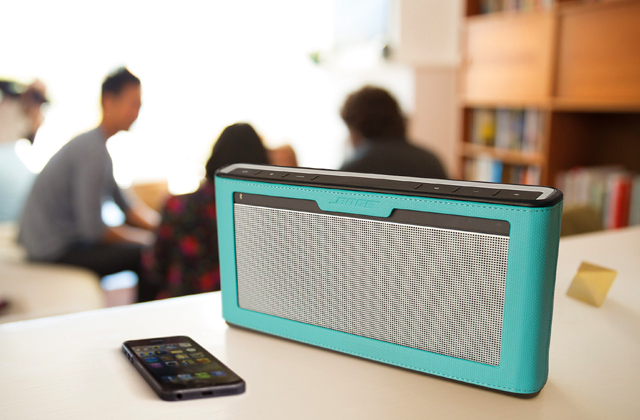 It fits gadgets of different sizes. Taking all of that into account, this car phone holder can be rightfully called a performative and practical appliance not only for vehicles but also for use at home or office on a desk. This model uses a well-thought-out comfort touch mechanism. So, let's work out how to use it. First of all, you should press the Release Button. This way, you will open the side arms. Then, locate your gadget between these arms and press your device to the Touch Button. Having done that, you will make the arms close and "catch the phone". 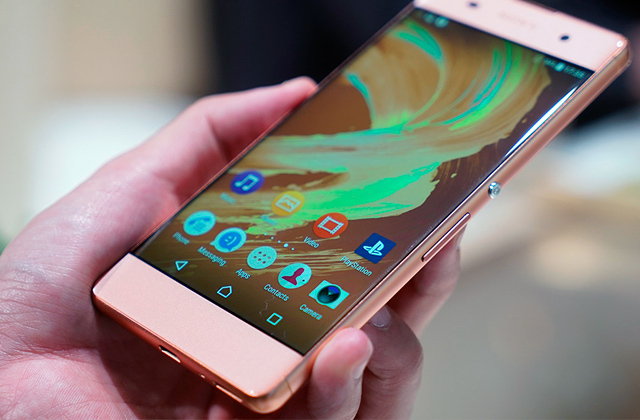 In order to detach your mobile, you will need to press the Release Button: the arms will open and you will be able to get the cell phone out. Keeping the arms open even if there is no phone inside will make attaching the mobile more quick and convenient next time. You will just need to place your gadget and press it slightly and the holder will catch it. Nowadays, the mobile phone stands are becoming an increasingly urgent issue. A car phone holder is a simple and functional accessory that will relieve you from the necessity to use other various intricate devices. 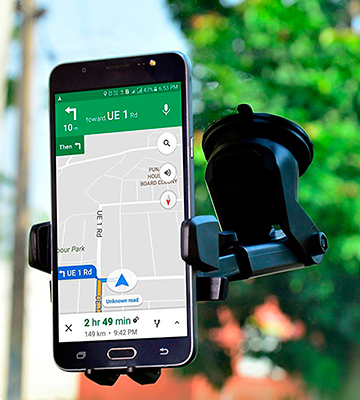 The VOLTAC Universal Car Mount Holder is equipped with a swivel holder which is well regulated. It is pretty easy to assemble and can be customized at a variety of different angles. This model mounts very simply and perfectly holds the smartphone. Being made of high-quality plastic, this mobile stand for a car is large enough for different mobile devices and GPS gadgets. The clamp size is adjustable up to 90 mm. 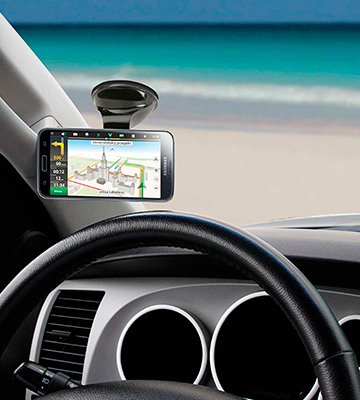 By purchasing such a holder, you will be very comfortable when using phone navigation. Install the holder so that you have free access to the phone and you will be able to see the route with no problems. And your device will be securely attached without any risks of falling down. Besides, it will protect the device on a bumpy road. The manufacturer thoughtfully fitted the holder with soft inserts, so the clamp does not leave scratches and marks on the device. This car phone holder looks stylish and elegant. The VOLTAC mobile phone holder is a very practical accessory, which, apart from modern design, also perfectly performs its functions. The VOLTAC A/REV3562-3582 Car Mount Holder is attached with the help of a reliable vacuum sucker. Due to the vacuum interlayer, this convenient and accurate car phone holder is easily fixed to the windshield without the use of adhesive substances. Vacuum sucker, in contrast to the usual ones, is supplemented by a mechanical element that provides it with additional tension. As a result, the degree of air rarefaction in the place of its contact with the surface increases, which ensures greater reliability of fastening. Such elements can withstand quite noticeable additional weight. Furthermore, quality vacuum suckers boast low susceptibility to the temperature (from -20 to + 60 ° C). Such holders are easy to mount and have good adhesion with virtually any surfaces and leave no traces on the surface after removal. In other words, this type of fastening will allow you not only to simplify the installation procedure but also to change the location of your holder if necessary. The glass of a modern car is a rather complicated material, which is improved every year. If at first glance, the car glass cannot be distinguished from the window in the house, after having studied the structure of the car windshield, you will see it is much more demanding. Before attaching the sucker to the windshield, it is worth wiping it and, if there is any dirt, you should clean it. In order to fix the sucker as reliably as possible, it is advisable to deoil the surface with some alcohol. 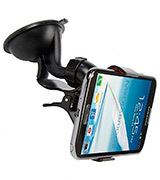 This car phone holder is suitable for all brands and models of mobile phones, MP4, GPS, and PDA. The ergonomic design makes this model very convenient to use. And owing to the modern appearance, this accessory will become an adornment for any car. It is compact and will not take too much place and you will install/remove your mobile device without any efforts. In price/quality ratio, this option is one of the most affordable. In comparison with other holders of this class, this cell phone holder has obvious advantages in all respects. What Is a Car Phone Holder? Nowadays, it is hard to imagine living in a big city with all its hustle and bustle without a smartphone and a car. Probably all of you at least once in your life asked yourself a question as to the place where it is best to attach a phone in a car so that it could be within your reach and you could use it for answering phone calls and checking out your current location on the map, keeping focused on the road. This place can be just any place in your vehicle if you get yourself a handy holder for mobile phones and other gadgets. Designed to be mounted on almost any flat surface, a car phone holder can keep your gadgets, even quite big, securely in place before your eyes as close as you want them to be. 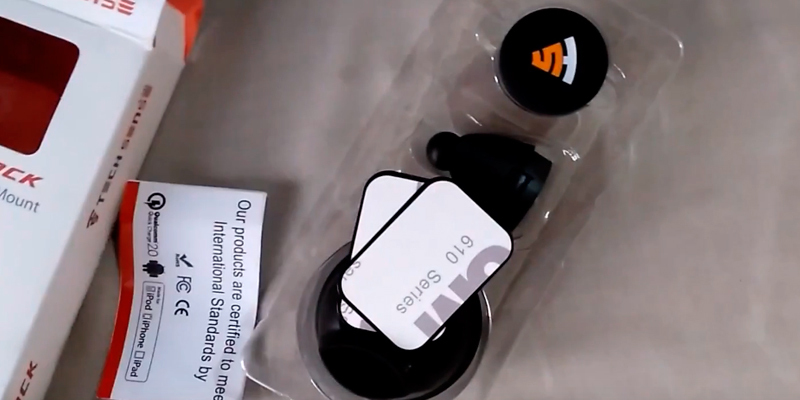 This review deals with 5 best phone holders which are popular among users worldwide, so we're more than sure you'll find something in here which is suitable for you. If you need a holder to keep devices with pretty big displays, you may also want to check out our review with the selection of car tablet holders. 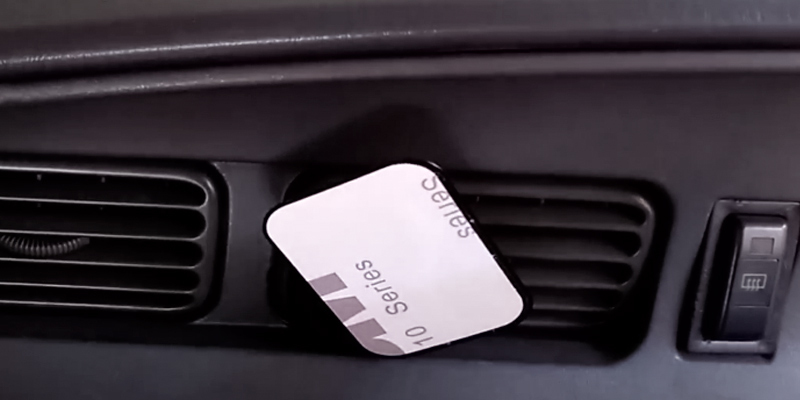 There are several mounting positions to be considered before buying a holder for your smartphone; they are dashboard mounts, air vent mounts, and CD-slot mounts. 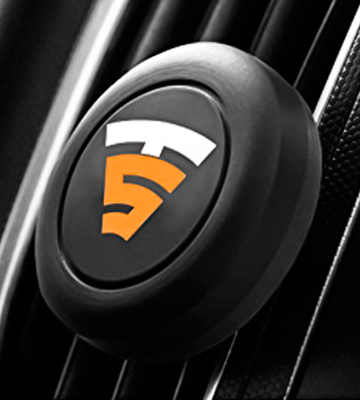 As it is easy to guess from their names, they can be mounted either on a dash panel or windshield in your car, cling to the vent, or attached around your CD-player. 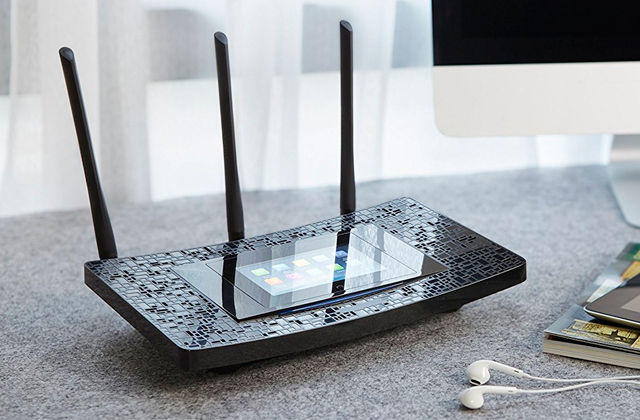 All of these mounts are popular and work well with a wide range of mobile gadgets, however, it is still important to decide on a place of mounting that will work fine for your gadget and where it won’t obscure your view or block some other important ports. You should also decide on the features which are important for you. Some of the holders are versatile enough to be used with many different devices, regardless their sizes. Others will fit only standard-sized phones. Consider whether the holder can be rotated to be put in landscape and portrait positions and whether it is possible to move it closer to your view. Many holders feature telescopic arms that can be extended farther from the initial position to a friendly distance for a driver. Look carefully to the design of the chosen holder and make sure that it allows for charging your phone on the go. 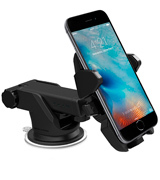 Car phone holders usually fall into those that come with a suction cup and those with a magnetic plate. 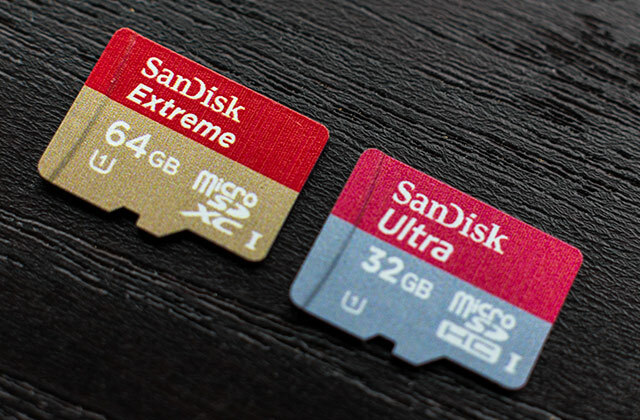 Both are pretty reliable and solid and can hold securely in place devices of just about any sizes. What you may want to consider though, is whether the holder is spring-loaded or has adjustable brackets to fit larger phones and tablets. That said, if you don’t think you’ll need to carry more devices with you than your phone, a simple and cheap mount will be more than enough you and get the job done just fine. Q: What types of car phone holders are available? A: Holders for mobile phones come in many different designs, sizes, and shapes, however, the most popular ones are those that come with a suction cup and an adhesive base. These two types of car phone holders, though, can also be mounted in several different ways, depending on the model you choose. Q: How do these devices hold the smartphone? A: Phone holders may have a clamp or a magnetic plate for holding the phone securely in place. The clamps are usually considered a good option for smartphones of standard sizes, however, if your phone or other gadget is bigger than the standard, the holders with magnets will be a better choice. Q: How safe is the holder? A: Most of them are pretty safe, given that you've chosen a suitable holder for your gadget, and can keep your phone from falling off the base even when driving off-road. Q: Are car phone holders of the same size? A: Not really, no, although most of them can be adjusted to fit gadgets of different sizes. If that's what you need, look out for holders with extension options. If you don't think that you will need to use it for other gadgets besides your smartphone, a simple holder without extra features will surely be enough for you. Q: Can the holder damage my phone? A: No, it can not. It is specially designed to avoid any damages. Some of them even come with a gel pad to provide reliable mounting on uneven surfaces. Q: Where can it be mounted? 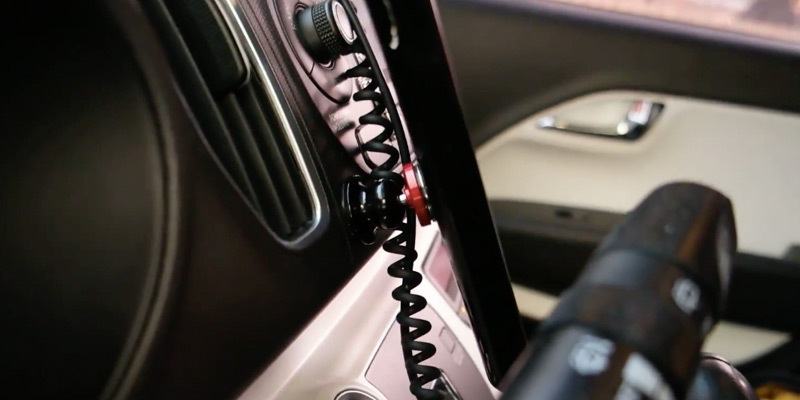 A: Car phone holders that come with suction cups can be mounted literally anywhere in your car. The models with adhesive bases are suitable for installation on a dash panel, next to your CD/DVD player, and any other smooth and clean surface. Q: Is it possible that a car phone holder may obscure the view of the road? A: Generally, it depends on its placement. You should think carefully where it is convenient to place the device. Of course, it should be before your eyes, but it is also important that it does not disturb you, as driving requires a lot of concentration. 1. 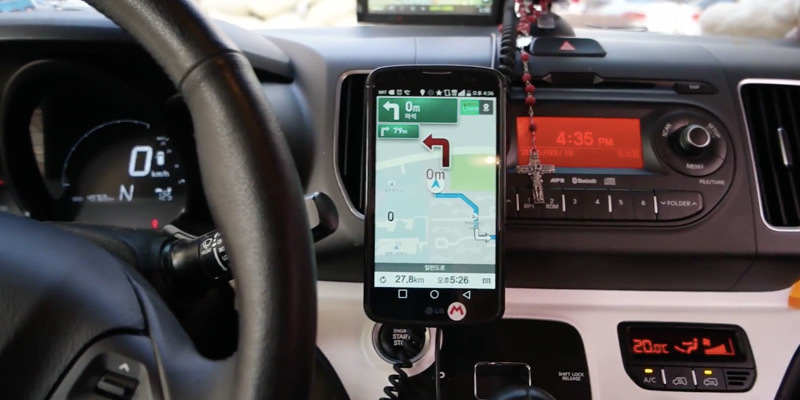 Antuan Goodwin 5 safe places to put your smartphone while driving, CNET. January 25, 2013. 2. Kim Adams In-car phone holders tested, Auto Express. February 8, 2012. 3. Choosing the best cellular phone vehicle holder for your car: Pros and Cons, Storify. May 5, 2014. 4. How to Choose a Car Mount for Your Mobile Phone, eBay. October 30, 2013. 5. William Judd Guide to car holders, MobileFun.co.uk. March 2, 2016. 6. Brett Williamson Mobile phones in cars: A cheat's guide to what you can and cannot do while driving, ABC News. September 10, 2015. 7. repeet13 Binder Clip Phone Car Mount, Instructables. 8. Nich Guy The Best Smartphone Car Mount, The Wirecutter. June 20, 2016. 9. 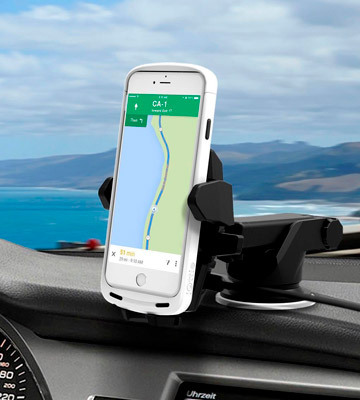 7 Important Reasons to Use Cell Phone Mounts and Holders in Your Car, eBay. March 3, 2016. 10. Are Suction Cup Windshield Mounts Legal In Your State? ProClip. April 13, 2017.